With all the attention that pumpkin has been getting lately, I decided to finally pick a recipe where apples are the star of the show. I’ll admit that despite the abundance of beautiful, local apples during this time of year, apple recipes often get pushed to the bottom of my baking list. Why? Because I’m lazy. Peeling, coring and chopping apples just seems to take me so much time. It’s much quicker and less messy to pop open a can of pumpkin. As an aside, I have an apple peeler/corer/slicer that I love. It’s great for bigger jobs that require more than an apple or two. Every time I make these bars, I tell myself that they are definitely worth the extra time and effort. Once the apples are prepped, everything comes together quickly. Your home will be filled with the tempting aroma of sugar, spices and baking apples shortly thereafter. 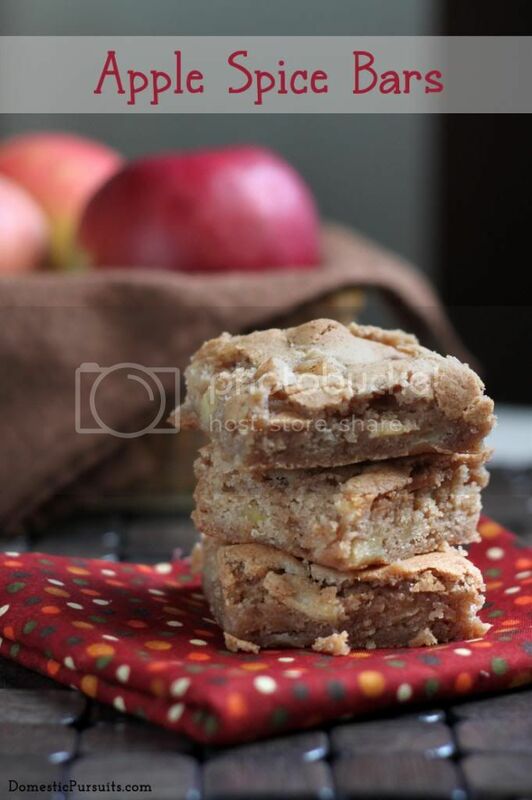 The resulting apple bars are moist and tender and have a slightly flaky top. 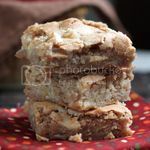 These apple bars are a delicious seasonal dessert that really let the simple flavor of apple, cinnamon and brown sugar shine through. Preheat oven to 350 degrees. Line a 9x13 pan with foil and coat with baking spray. In medium bowl, combine flour, baking powder, salt, cinnamon, nutmeg, allspice, and cloves. Whisk to combine well and set aside. In bowl of stand mixer, combine sugars and butter. Beat on medium high until light and fluffy, about 1 minute. Add eggs, one at a time, beating well to combine. Add vanilla extract and beat to combine. Reduce mixer speed to slow and gradually add flour mixture, beating until just combined. Fold in apples. Spread mixture evenly into prepared pan. Bake for about 30 minutes, until cooked through and top slightly bounces back to the touch. Remove from oven and let cool completely on rack before removing from pan, cutting and serving. Bars will be very soft. I have no idea where this recipe came from. I copied it down years ago and there's no attribution. when your parents act up or ignore you. Some front desk agents have given out guest room keys to complete strangers. On the flip side, Melchiorri recently needed a plastic fork for a meal in his room and it was there in about 35 seconds. That’s the front desk living up to its potential. Photos: Expedia’s Hotel Etiquette Study – – – – – – doing – – – Micro or invisible managers Trying to manage a hotel from afar is a losing proposition. "